FlowFilm is a new project for young people. 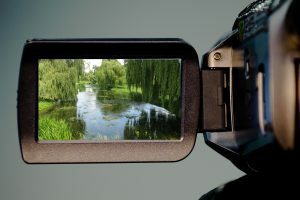 They will have the opportunity to work alongside a professional filmmaker (Jasper Bouverie of Funder Films CIC) on making short films, harnessing their creativity and learning technical skills. The only rule is that the films must feature the River Stour in some way. Why rivers? There are stories to be told about these waterways – whether it’s highlighting pollution issues, investigating the past, or just exploring what they mean to us. The films young people make will be 1 to 3 minutes long and could be documentary style or have a more creative feel. The project will be promoted through local schools and youth groups. Young people taking part will work on developing scripts, shooting and editing. They will learn a range of skills through a series of three workshops and develop their idea with the help of the filmmaker at every step. 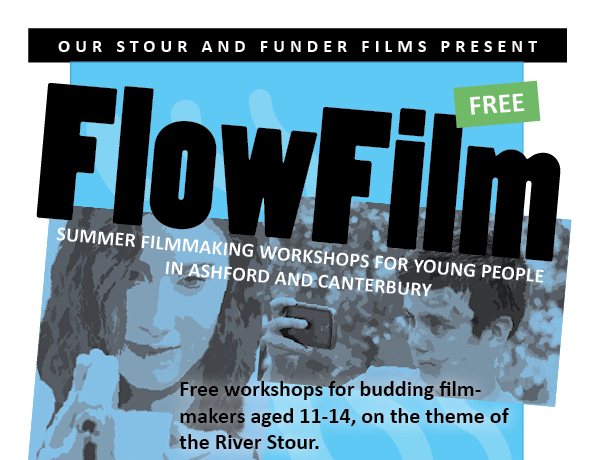 This year, FlowFilm will take place at venues in Ashford and Canterbury during the summer holiday, and is aimed at young people from 11 to 14. They will learn house to use DaVinci Resolve editing software to make a short film (1 to 3 minutes) during 3 morning sessions. If you are a teacher, youth group leader or belong to a community group for young people, we can send you posters and flyers to hand out – contact Will, the Project Co-ordinator at the email address above. FlowFilm activities are provided by Funder Films CIC. Visit their website to find out more about them and view short films.